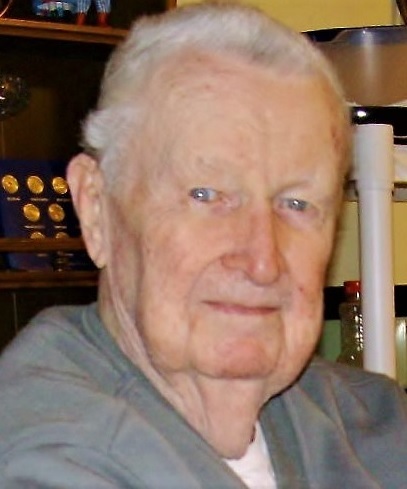 Paul H. Curran, 91, of North Providence, died peacefully on Sunday March 24, 2019 in Our Lady of Fatima Hospital. Born in Providence he was the son of the late Herbert J. and Madeline T. ( Davey ) Curran. He was the beloved husband of the late Catherine V. ( Kelly ) Curran. Paul graduated from LaSalle Academy in 1946. After graduating he entered the Army, serving in WWII in the Army of Occupation in Yokohama, Japan in 1946-’47. He went on to graduate from Bryant College in 1950. In 1981, he earned a BA from Providence College’s School of Continuing Education. For most of his life, Paul was a lithographic printer. His longest place of employment was the former Charles G Cowan, Assoc. in Providence. He was an award-winning member of the Association of Printing House Craftsman. In his later years, he worked as a security guard at Providence College. Mr. Curran is survived by his daughter, Suzanne M. Curran, 4 nephews Paul B. Curran and his wife Therese, Robert M. Curran and his wife Linda, Daniel P. Curran, Kevin T. Curran and his wife Tonya; two nieces, Lynn M. Halmi and her husband Dezi, and Jean A. Coelho and her husband John. He was the brother of the late Raymond Curran, and Uncle of the late Raymond J. Curran. The Funeral will be held Saturday at 7:45 am from the Russell J. Boyle and Son Funeral Home, 331 Smith Street, Providence. A Mass of Christian Burial will be Celebrated at 9:00 am in Mary, Mother of Mankind, 25 Fourth Street, North Providence.Burial will follow in the RI Veteran's Memorial Cemetery, Rt. 2, Exeter. Visiting hours will be held on Friday, March 29 from 4 to 6 pm. In lieu of flowers, donations in his memory may be made to, Columban Fathers, 65 Ferry Rd, Bristol, RI 02809.